John Barrow was an outstanding Lineman during his 14-year career. He was selected to 16 All-Star teams. During four consecutive seasons, he was chosed on both the offensive and defensive squads. 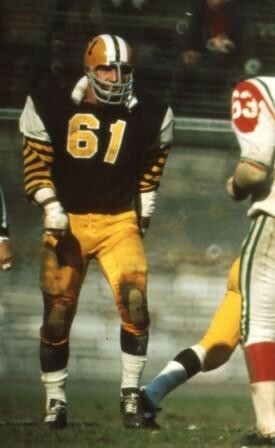 He played in nine Grey Cup games and was nominated eight times for the Schenley Award for the Most Outstanding Lineman. Following his playing career, Barrow was the General Manager of the Toronto Argonauts from 1971 – 1975.